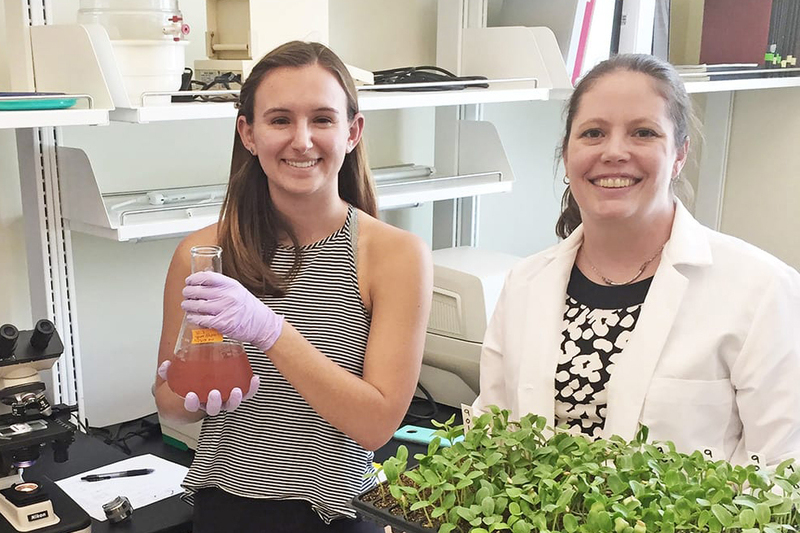 Mishi Vachev ’15 is featured in a nice article from Eckerd College, as she was one of 25 students worldwide chosen as a 2018 American Society of Plant Biologists (ASPB) Conviron Scholar. Benefits include a one-year membership to the ASPB, a hands-on virtual learning program, virtual mentoring with a plant science professional, and the opportunity to present a poster at the next ASPB meeting and to submit an article to the ASPB blog for publication. “She’s been doing excellent work here at Eckerd in our greenhouse,” said Jacob Browne, director of admission. Vachev credits Harker with helping her find her way. The article notes, “A biotechnology class in high school combined her passions in a real way. When choosing a college, she already knew what she was looking for.” And she’s not done yet. The article has more details on her motivations, extensive internships and future plans. Here are more details on the cantaloupe she has helped breed.